Breaking news from McColl Center for Art and Innovation! There is a new type of exhibition opening at 721 North Tryon Street on June 11, 2016. 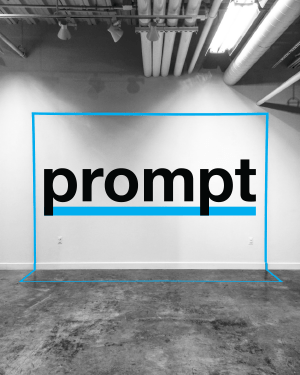 This exhibition will feature installations by three artists (Quisqueya Henríquez, Susan Lee-Chun, and Willie Little) that are built quickly (in 4 weeks) and inspired by three “prompts’ from former McColl Artist in Residence, Shaun Cassidy. Create an artwork that uses the following pairs of words as the catalyst: divisions and differences; connections and intersections. The work must include one material, technique, process, or approach that is new to you. The work must have an interactive element to it in which the viewer can move a part or parts around to create different relationships, narratives, or ideas. The Center is also throwing an all day party to kick off the exhibition on Saturday, June, 11th from 12pm – 9pm. Keep an eye on this page as activities are added to the line up!